How do I assign Peer Review lessons to students? Peer Review gives students the opportunity to review work that their class mates have completed and to reflect on how they might be able to answer questions better for themselves. Start by navigating to the Tasks & Homework section. Select the Assign Task button. You will then be prompted to choose between a Vocab or Spelling List, a Standard Task and Peer Review Task. Select the Peer Review option. Select the students you want to assign the task to. 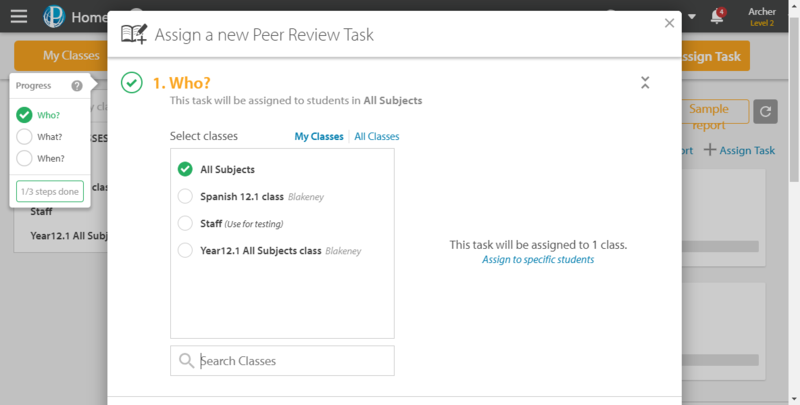 Please note that in order to use Peer Review, the task will need to be assigned to at least six students. The section completion tick is not shown until the requirement is met. You will then need to select what content you want added to this task. Extended response questions (blue pencil icon) are Peer Review compatible—these questions will have a blue Peer Review icon on them. 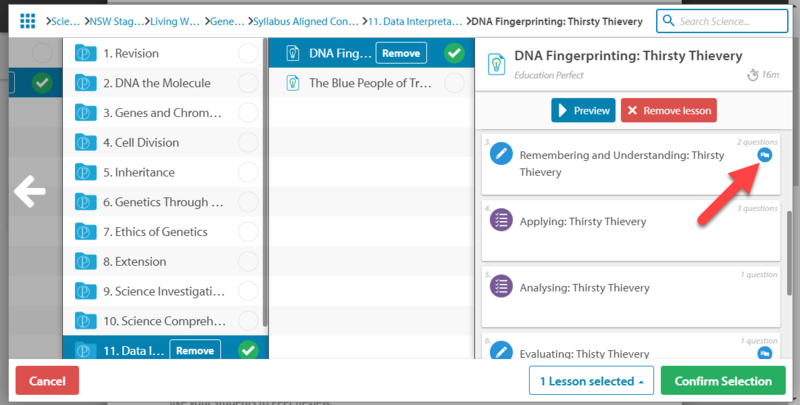 Once you have selected the lesson, you will then be able to select which questions to enable Peer Review for by clicking Choose Peer Review questions. You will then be able to tick all the questions you wish to be enabled. Click Confirm Selection when you are happy with what you have selected. Please note that only Extended Response questions can be selected for Peer Review. Automatically marked questions will not be available. 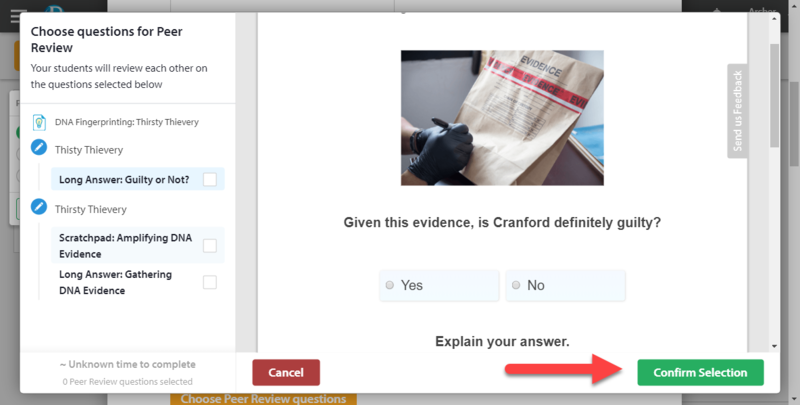 Check the Enable Peer Review for this task option and select how many answers per peer review question that you want your students to review. Requiring your students to complete more than one review will help to compensate for any students who don't review any of their classmates' work as well as those who don’t complete the work. This will also expose each student to more of their classmates' work and feedback. 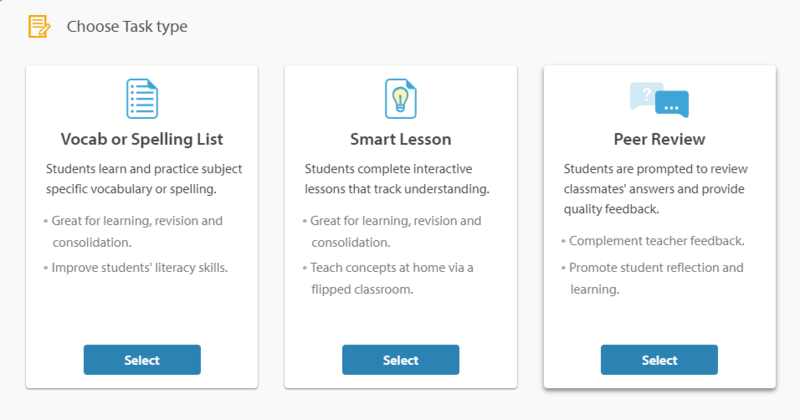 Finally, select whether you'd like students to give their classmates a star rating, or both a star rating and a feedback comment. Continue selecting the parameters of the task until you get to section 6. For full details on how to set a task, check out our help guide. To find out how to review your students' peer review feedback, check out our guide. How do I see my students' Peer Review responses?